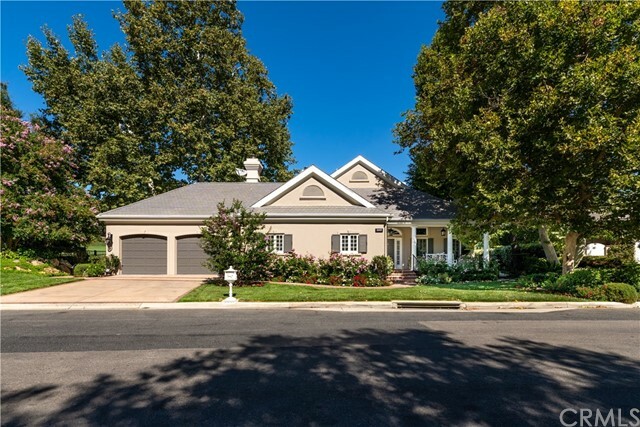 All Thousand Oaks homes currently listed for sale in Thousand Oaks as of 04/26/2019 are shown below. You can change the search criteria at any time by pressing the 'Change Search' button below. "Truly one of a kind Tuscan Villa (Villa del Lago) overlooking beautiful Lake Sherwood. Approx. 24,000 sqft. self-sustainable Modern Old-World Villa w/unsurpassed quality & craftsmanship on 4 acres with its own well, solar & generator. The estate comes fully furnished, including a car collection housed in the 22+ car subterranean garage with two car lifts & car wash/multi-purpose use area complete with HVAC to host events. Movie Theatre seats 13, with a glass floor for views of the garage & a large commercial elevator to move quickly between floors. 1st floor master suite, 2nd floor with 4 guest suites. Separate Casitas for Property Mgr. upstairs, and a gym ,massage room and bathroom on the ground floor. The Man Cave is like no other; A lounge with a 20'Bar with 5 TV's for sports, a poker table, shuffle board, etc. The driveway entry bridges have wood from the Coney Island boardwalk leading to a massive waterfall & two ponds, one for Koi & the other for Large Mouth Bass. Infinity pool w/ zero edge, Baja Shelf & in pool seating & fire pit overlooking the lake! Championship horseshoe pit & Olive Tree Orchard, all on Southern California's answer to Lake Como! Total sq.ft. includes garage." "Historic Greenfield Ranch. ATTENTION: THE RANCH TO BE SPLIT INTO TWO SEPARATE PORTIONS, AND PURCHASED SEPARATLEY THE RANCH CENTER ALL FLAT 181 ACRES APPROX., $15M OR THE SOUTHERLY PORTIONS 231 ACRES APPROX., $14M. BUYER WILL BE REQUIRED TO COOPERATE WITH THE LOT SPLIT PROCESS WITH VENTURA COUNTY PLANNING. Take a step back in time to the late 1800's when you walk among the majestic oak trees, rolling pastoral meadows, and historic Whiteside Ranch structures, including the original barn, now 100+ years old. Nestled in the prestigious ranch community of Hidden Valley surrounded by the permanent open space of the Santa Monica Mountain Conservancy, is this magnificent property which encompasses over 412 acres. Enter by way of two private drives. Some original structures still stand and are a favorite of the entertainment industry. The property is currently zoned for 40-80 acre parcels and is fed by well water. The possibilities are endless for grand estate manors or a personal private retreat with room for guest houses, domestic quarters, equestrian stables, and private serene grounds. All minutes away from the beach, Sherwood Country Club and local shopping and restaurants." "Welcome to JMJ Ranch! Hidden Valley is a community where serenity and privacy go hand-in-hand. Now, on the market for the first time in over 70 years is the extraordinary over 260 acre JMJ Ranch! With its unspoiled beauty, unobstructed views, brilliant blue skies and wide-open rural pastures it stands as a symphony for the senses and one of the last remaining opportunities to enjoy a world of secluded luxury. This exclusive ranch boasts massive fields of barley, oat, and grass hay, which are speckled with large oak trees, pastures surrounded by white fences, which offer beautiful settings filled with oak trees and horses, with a background of the majestic Santa Monica mountains. JMJ Ranch also features cattle chutes, covered arena and stable, large 1940s stable and barn, outdoor rodeo arena, quaint ranch house with porch, two old-fashioned garages, and round pens.With fabulous equestrian estates and magnificent homes seamlessly woven into the pastoral countryside Hidden Valley is called home by those in search of a lifestyle of quiet living while still desiring easy access to all that the Greater Los Angeles area has to offer." "Brookfield Farms is an exceptional property on approx. 60 acres in the exclusive Hidden Valley equestrian community located in Westlake Village,Ca. A gracious driveway meanders past shady groves, a tranquil lake & white picket fences arriving at a delightfully picturesque approx. 6,720 sq. ft. farm house that features dormer windows, wrap-around porch, 3 bedrooms & 6 bathrooms, in the main home, all other beds and baths are located in the 4 beautiful guest cottages. In sync with the natural beauty and quietude of its surroundings, are many facilities that service the property; A pool, play house, zip lines, an equestrian complex with 4 stalls, tack room, barn, riding ring, 2 pastures, a 5 car garage, gym, play room, ranch shop, a lake with fish house, organic gardens that produce avariety of fruits & vegetables, a greenhouse, a rose garden, creeks & bridges. Majestically conceived and finely crafted, this farm stands out as an exceptional estate." "Redesigned and renovated by designer Roy Sklarin, this luxurious French Formal estate is beautifully situated on over 20 spectacular acres of land. The palatial residence features 14,000 square feet of lavish living space, 7 bedrooms, 13 bathrooms, comprised of a deluxe master bedroom suite with dual baths, walk-in closets, a gourmet double-island kitchen and pantry, a wine connoisseur's tasting room, a theater, a gym, a separate guest quarters. The property is being offered furnished with its custom-made furniture, chandeliers, hand-made rungs and draperies. The private paradise boasts beautifully landscaped lawns, Magnolia-lined limestone walkways, hand-carved fountains, a tennis court, and a resort-style infinity pool with breathtaking panoramic views of the city lights and hillside. This magnificent Hidden Valley property offers a rare opportunity, minutes from Westlake Village, adjacent to the world-famous Sherwood Country Club and a short drive to the beautiful beaches of Malibu." "World class equestrian ranch ideally located on nearly 159 majestic acres in prestigious Thousand Oaks! Day Creek Ranch is truly Southern California's premier destination for the ultimate in Ranch living! Features include a 17,000 square foot state of the art barn w/38 stalls, offices and living quarters. In addition there are three custom residences including a 4500 sq ft primary estate built in 2003. There is a half mile professional decomposed granite racing track, two arenas, two round pends, jumping arena, Eurociser , 5 pastures, 24 turnouts, seasonal ponds, panoramic views and a spectacular Haas avocado orchard. There is truly no property more spectacular and picturesque and with more features and amenities than Dry Creek Ranch. Absolutely breathtaking!!!" "Equestrian Dream, One of the front row seats in Hidden Valley, everything is here. Private and gated approx. 23 acres Equestrian Ranch. Magnificent south facing views of Boney Mountain and Hidden Valley. The extensive amenities are many, just to name a few, The ESTATE HOUSE: appox. 9000 sq. ft. 5 bd. 7 ba. Gourmet kitchen, breakfast room with 270 degree view. Turn key move in ready. Spectacular patio area for entertaining with pool, cabana/changing room, BBQ area and lighted tennis court. Attached carport with 5 car garage. GUEST HOUSE: 2 bd. 2 ba. recently remodeled.EQUESTRIAN FACILITY: 24 stall center aisle barn approx. 17,000 sq. ft. 2 bathroom with showers,meeting room, 3 offices, 2 tack rooms, feed room, kitchen, 3 grooming stalls and 4 wash racks, 6 stall automated walker,lunging pen, regulation dressage arena with jumping arena.The barn is fully leased under the management of a professional trainer. Hay barn 3000 sq. ft. with attached trainer's apartment, and assistant's apartment, plus 6 car garage complex. Detached ranch managers house. Appro. 4000 sq, ft. work shop or car collectors barn. And much more, a must see.Hidden Valley is secluded but not isolated. Because of it's location between Los Angeles and Santa Barbara." "Sunrise Ranch is one of the most spectacular horse facilities in the country. Originally one of three properties that were assembled to form the famous Sandstone Ranch, it is only one of thirty-seven ranches in Hidden Valley. Sunrise Ranch has been designated an Olympic training facility, and has hosted elite class athletes from all over the world. The footing for both the Olympic size dressage ring and the 150 x 300 foot jumping arena is European felt mixed with silica sand accompanied by sprinkler systems graded for proper drainage. The ample overhead lighting supports night riding. A new 20,000 square foot area of sod has been planted adjacent to the arenas for picnicking and viewing. There is a 20-stall BarnMaster barn with office, tack room, wash stall with hot and cold water, and bathrooms with shower and lockers. The training pen, stallion paddocks, and track around the arenas have all been beautifully landscaped and maintained. (see continued description in private remarks)"
"Twin Acres Ranch is one of the most magnificent parcels of land in the prestigious Hidden Valley. Surrounded by soaring views of the Santa Monica Mountains, Hidden Valley became popular with the motion picture industry in the 1920's, and was once home to Roy Rogers, Dean Martin, and Sophia Loren, among other legendary Hollywood pedigree. Today, the area compromised of only 37 ranches, continues to be an ideal escape for celebrities and high net worth individuals seeking privacy and tranquility. Twin Acres is one of the three ranches that were originally assembled to make up Sandstone Ranch, a world renowned equestrian estate. The main house has five bedrooms and five baths with numerous authentic details. The two bedroom guesthouse, ranch manager's home, ranch office, 5 stall pony barn and tool storage area have all been impeccably maintained. (continued in private remarks)"
"French Traditional Masterpiece! Ideally located atop 20 private acres in the exclusive gtd White Stallion Estates of Hidden Valley. Stunning, privately gtd showplace w/ commanding unobstructed 360 degree views. Completely re-imagined w/ the absolute finest finishes. Interior features include a grand two story entry w new custom floating staircase & reclaimed French limestone floors. There is a paneled bonus/game rm, his & her offices, home theater, video gaming rm, soaring beamed ceilings, & so much more. Two bedroom suites are located on the ground level, w/ 4 bedroom suites up. The master provides a sitting room, FP + his/her closets. The grounds are truly second to none w/ custom pool/spa, massive lawns, formal gardens & orchard! The outdoor covered loggia is tremendous w/ FP, heatersplus outdoor kitchen w/ pizza oven. Other amenities include a security system w/ cameras, home automation system, 5 car garage, & more. One of the premier luxury estates in Southern California. Also available as a Fully Furnished Rental." "Absolutely extraordinary Italian Villa on a premier acre lot w panoramic unobstructed views! One of Guard Gtd Lake Sherwood's premier custom estates! Amazing detail & craftsmanship thru out! Interior features include a stunning first floor master suite with an attached gym, fireplace, his & hers finished walk in closets, + an abundance of French doors that open to the backyard. The grand two story entry opens to an exciting open concept floorplan. The great room with soaring detailed ceilings & one of a kind custom fireplace is truly something to see! Other interior features include a game room w/ wet bar, & gourmet kitchen that opens to the family rm. Upstairs there are three bedroom suites, tremendous theater, & over-sized viewing deck. The grand formal dining room boasts a temp controlled wine wall, hardwood floors & fireplace. The resort quality grounds are second to none! Set above golf course level for ultimate privacy & boasting explosive panoramic fairway & mountain views! In addition, there is a custom pool, pavilion, outdoor kitchen, gardens, spectacular covered patio w fireplace, fire pit + massive manicured lawns! Among the homes other attributes are a Crestron home automation system, security cameras & 4 car garage. One of Sherwood's Finest!" "A ''Front Row Seat'' Hidden Valley Stunning private setting on 20.5 acres with great view of Boney Mountain. Newer Country French style home.Features 3 bdrms, 4 baths, office, great room with fireplace, living room, large kitchen. A key feature of the home is all ceiling heights are different throughout the home ranging from 9 ft. to 24 ft. Large outdoor entertainment area with a 12x36 ft. cabana and large sandstone custom built BBQ. Two stall horse facility w/tack room, bathroom and upstairs storage area, plus an additional 3 car garage. Regulation size dressage area and large turnout area." "An influencer within Sherwood Country Club, this charismatic estate makes a statement with superb curb appeal. Regarded with today's contemporary design choices, this stunning single-story estate is a one-acre prize within Sherwood Country Club. The supremely private & unique lot features expansive land, distancing all neighbors & echoing the transcendent feeling of living on the 2nd fairway of the world-class golf course. This custom residence is open, stylish & functional with spectacular entertainment spaces that delight the finest of tastes & invites the most discerning guests. The great room & formal living spaces offer hints of sophistication with a casual elegance & entertaining year round is a four seasons delight. The gourmet kitchen has peaceful energy, a creative space to fill hearts & satisfy gourmet cravings. All windows feature electric window coverings. A spacious carriage house accommodates extended-stay guests. Discover ultimate rest beneath the shaded patio, looking over the rolling golf course as the sun cascades through the trees. The initiation fee for the Sherwood Tennis Club OR initiation fee for the Lake Club Golf Membership (Buyer's choice) along with a Golf Cart are included with the purchase of the home." "Located in the prestigious guard gated community of Sherwood Country Club Estates in Westlake Village with mountain and golf course views. This home's transitional concept includes Indulgent finishes throughout this home include high end custom cabinets, custom wainscoting throughout, beautiful quartz counter tops, professional Viking appliances, built-in window seating with storage drawers, cement tile by Cle Tile, Carrera marble, hardwood floors with cork underlayment, Kohler, Toto & Grohe plumbing fixtures, natural steam showers, custom reclaimed wood fireplace, 500 bottle temperature controlled wine cellar, outdoor BBQ custom built to match exterior Red Balau decking with stainless steel cable railing and a large covered/uncovered rear deck. Security cameras and speakers throughout. 17,030 SF lot and 5,003 SF livable area with 5 bedrooms, 6 bathrooms, dual family rooms, dual powder rooms, dual laundry rooms and an oversized 4 car garage. All bedrooms have en suite bathrooms. The main floor features a large kitchen that flows seamlessly to the family room with strategically placed windows and Panoramic Doors designed to maximize the flooding of bright and natural light. Located on the grandfathered side of Sherwood Country Club Estates with no HOA fees"
"This superb and newly built (3 year old house) is an English Tudor style, two story home which sits on a lot overlooking Williamsburg Way and below hole's #7 & 8 of Sherwood Lake Club's 18-hole, par-3 Jack Nicklaus designed golf course with Sherwood Lake Club's clubhouse a short walk away. This home features 5 bedrooms, 5 baths plus a powder room, formal living and dining rooms, a gourmet kitchen with a morning room which opens into the large family room, a library, a wine room off the main hall and two-2 car garages. Don't miss this amazing opportunity!!" "This is truly a unique estate within the 24-hour guard gated Sherwood Country Club Estates. Spectacular views coupled with complete privacy! The resort quality grounds are designed for entertaining. Features include a beach-entry infinity pool with waterslide, cascading waterfall, outdoor fireplace, BBQ center and manicured lawn. The fabulous interior floor-plan boasts 5 bedrooms and 5.5 baths with a full bedroom and bath downstairs and an additional bonus/media room. The expansive double center island kitchen opens to the family room and enjoys incredible and unobstructed views! Live the unparalleled Sherwood lifestyle replete with mountain views, two Jack Nicholas designed golf courses, swim, tennis and beautiful lake Sherwood for boating, swimming, kayaking, stand up paddling, fishing and more." "The Bridgewater is a wonderful Prairie style home located behind the gates of the prestigious Sherwood Country Club community. This two-story home boasts four bedrooms, four baths, plus a powder room and a grand Great Room. The gourmet kitchen showcases a morning room and opens up to the great room which leads out to a spacious outdoor patio area through large pocket doors lending to indoor/outdoor living - so popular in Southern California. The home comes with the newest technology in home automation along with a Lutron lighting system. The property sits above Lake Sherwood on the lake inlet and will come with a shared dock and has two 2-car garages surrounding a motor court." "The Miramar is a magnificent Montecito style home located behind the gates of the prestigious Sherwood Country Club community. This two-story home boasts four bedrooms, including a downstairs master bedroom, four baths plus a powder room, a formal dining room which leads to the beautifully appointed gourmet kitchen. The expansive, open Great Room leads out to a large outdoor patio area with a fireplace, lending to the indoor / outdoor feel. The home comes with the newest technology in home automation along with a Lutron lighting system and will have its own shared boat dock for cruising trips on the lake. The property sits down the street from the beautiful Jack Nicklaus designed, signature par-3 course at Sherwood Lake Club on the lake inlet." "Benecia!! This superb Spanish Colonial style, two-story home sits within a mile of Sherwood Lake Club's 18-hole, par-3 Jack Nicklaus designed golf course. This home features four bedrooms, four baths plus a powder room, a gourmet kitchen that showcases one of two pocket doors leading out to the two covered patios which are fantastic for entertaining and an open great room. The Master Suite is sublime with a large master closet, bath and a private balcony. This home boasts the latest in home automation and lighting technology and comes with a three car garage." "Welcome home to this single story home located in the Reflections section on the 14th hole behind the gates in the prestigious Sherwood Country Club Estates. Equipped with top of the line appliances (Miele & Viking), this elegant home boasts a huge master suite with large walk in closet and master bathroom. See-thru fireplace overlooking the relaxing master spa bathtub and master bedroom. Easy access powder room centrally located off the kitchen, separate room for an office, gym, library, waiting area or additional bedroom. Two additional fireplaces in the dining room and living room for extra design and comfort. Recessed lighting, walk in closets, freshly painted inside and out, newly serviced HVAC unit and back-up generator. Freshly painted windows thru-out the house allowing alot of natural light in creating a bright space. Large stone patio off the back perfect for entertaining, family outings and BBQ'ing. Lush green grass and landscaping encapsulates the backyard giving you ample space for pets, parties and entertaining. For more info please goto www.2445stafford.com"
"Freshly Painted & ready for move in ! Stunning panoramic views!! This beautiful Trentwood Townhome is ideally located inside the gates of exclusive Sherwood Country Club. The open floor plan boasts a great room adjacent to the formal dining, wood and stone flooring, creating the perfect space for entertaining. Over 3,600 sq ft boasting 4 bedrooms, 4 baths, center island kitchen, including many new appliances, subzero refrigerator and granite counters. Just off the charming breakfast area, French sliding doors lead out to the private patio adjoining manicured lawns. The spacious master suite features vaulted ceilings, a fireplace, two large walk-in closets, and an elegant bath and private balcony overlooking the lake and the magnificent mountains beyond. 2 additional en-suite bedrooms are located upstairs, and on the main floor, the fourth bedroom is currently used as a home office. Experience relaxed, resort style luxury living! Easy living!" "Most enchanting Country French estate you will ever see, w/ panoramic views of Thousand Oaks. Enter stunning paver driveway & private gate to gorgeous gardens: fruit & avocado trees, roses, chirping birds. Entry is flanked by lush, tranquil gardens & leaded glass double doors. The Great Room features volume ceilings, French doors & windows, brick fireplace w/ hearth, & views. Lovely dining room w/ peg-n-grove floors & French doors. Amazing country kitchen w/ triple-nose granite counters, gourmet Viking range, dramatic center island, & views. Downstairs master is charming & features fireplace & huge walk-in closet. His & Her master bath w/ custom tiles & fixtures. Upstairs features two bedrooms, one w/ a large sitting room which could be a 3rd upstairs bedroom. Amazing loft- ideal for a home office/bonus area. Separate entrance leads to 4th bedroom & bath over the garage- perfect for guests, in-laws, private office, media room. Spacious 3-car garage w/ laundry area & storage galore. Rear yard is charming w/ brick-lined patio, dramatic overhang, & in-ground spa. Grassy area w/ room for a pool or playset. Panoramic views are spectacular: city lights, mountains, & 4th of July fireworks. Quality updates and maintenance shows pride in ownership. Just heavenly!" "Close to Ronald Reagan Library, Sunset Hills Country Club and Santa Rosa Valley. Check the comps. Opportunity knocks for this beautiful, and impeccably maintained Italian Villa with gated courtyard sits on over 3 acres of stunning grounds with sweeping views and zoned for horses. Sophisticated and elegantly customized, the one-story masterpiece offers a seamless floorplan with 4 bedrooms, an office (optional 5th bed), 3.5 bathrooms, formal living and dining rooms, chefs kitchen with long breakfast bar opens to large family room/den w/ built-ins, large game room, large laundry room w/ sink and garages for 4 cars. The resort-style backyard features gorgeous landscaping, flowers, several areas of escape, artistic water features, basketball court, putting green, built-in BBQ & rotisserie, a black bottom pool, spa and waterfall. This home must be seen and experienced in person to fully appreciate its beauty and serenity of escape it provides." "Superbly situated overlooking Thousand Oaks is this beautifully renovated single story home in the gated custom community of Los Robles Hills Estates. A renovation with a desirable open concept spanning over 3,800 square feet with 4 bedrooms, an office area and 3.5 baths. A chef's kitchen features floor to ceiling custom cabinetry, an iconic Wolf 48'' gas range, Bosch dishwasher, Kitchen Aid built-in side by side refrigerator, microwave drawer, two Rohl Shaws Fireclay sinks and a 10 ft. stone island perfect for entertaining and daily enjoyment. The large kitchen opens to the great room with its stunning honed limestone covered two way glass fireplace shared with the living/billiard room. The master suite has an office area with its own fireplace, built-in bookcases and a view. The master bath is complete with a free standing tub, large shower, his and her sinks and a vanity area. The two bedrooms across from the master suite could be used as an in law suite or as two separate bedrooms. The fourth bedroom and bath are private on the other side of the house for guests, a loud teenager or an additional office space. Sliding glass doors across the back of the home lead to a covered patio, a pool, spa with multiple lawn areas in appx. 1.17 acres."